Foodservice equipment and supply company leverages its technology partnership to secure capacity, simplify rates, and cut 12 percent from its transportation spending. Here’s how they did it. Edward Don operates nationwide from its six full-service distribution centers (DCs) using its own fleet plus a network of national carriers. And although it stocks over 12,000 items in its DCs, the company sources 50,000 items from a network of over 3,000 suppliers. Often, the logistics operation will instruct suppliers to ship direct to the customer, bypassing their DCs to expedite delivery and to save handling and transportation costs. However, just few years ago Edward Don’s efficiency was being challenged by a series of logistics issues. Its competitive bid process was skewered, complex, and not always data driven. Jennifer Blattner, the company’s corporate traffic manager, recalls negotiating rates separately with a series of trucking partners, but was unsure that it was always securing the best rate. When there were problems, it was difficult to ascertain the cause because carriers rarely were held accountable. For shipments direct from vendor to customers, the process was even more uneven. Vendors were not always encouraged to seek out the most favorable trucking rates, and there was no single set of guidelines for securing trucking partners, making compliance haphazard. And when exceptions to normal delivery times occurred, there was very little recourse. The solution came in the form of a thorough self-examination. Blattner and the logistics team discovered that they had to change the way the company procured logistics. However, what began as an attempt to realize savings on its LTL freight bill actually expanded into a fully functional logistics solution. Back in 2007, Edward Don was already using TranzAct Technologies’ Freedom Logistics program to handle its bill-payment. But under Blattner’s direction and with the support of upper management, the company expanded its use of the tool in order to take full advantage of its LTL procurement and management capabilities. Like a lot of shippers and corporate traffic managers, Blattner decided to delve deeper into her company’s operations. She wanted to know exactly how carriers were hired, their strengths and weakness, and, perhaps most importantly, in which geographic areas special carriers offered the strongest chance of rate savings. Her story, and how she and the company achieved sustainable freight spending efficiencies over the past six years, is a terrific example of how a shipper with complex distribution needs can partner with a third-party in an effort to put the latest technologies to work to achieve new savings in transport operations. In 2007, Blattner decided that it was time to take a top-to-bottom look at Edward Don’s logistics needs. 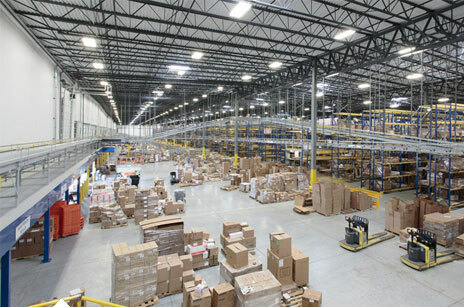 She dove deeper into how much the company was spending on transportation, the various freight movements, as well as it half-dozen distribution centers and the carriers the company was using. Having already enlisted a third party for its freight payment services, Blattner and the company decided to let that partner take over management of its entire transportation network, which included outbound LTL to its customers and inbound LTL from manufacturers. The decision was made in early 2008 to alter the existing procurement strategy. Edward Don first chose to change the master tariff covering all its carriers, a moved that involved collaboration with its carrier partners. All of its LTL carrier representatives were invited to Chicago for three days of meetings to explain the changes. “It was all or nothing,” recalls Blattner. Previously, Edward Don had been using about eight LTL carriers. Those incumbent carriers were invited to resubmit bids using the Freedom Logistics program. Blattner says that one of the principal benefits for the carriers was the ability to receive accurate and complete information up front. First, it analyzes the shipper’s own freight history to determine shipping lanes, volumes, and carriers employed. Then it develops a unique “freight profile” by examining the type of freight shipped. The program than models the potential savings for the shipper and develops a request for procurement (RFP) before choosing the most efficient mode and carrier. After conducting that review, the eight incumbent LTL carriers Edward Don had been using were retained after they submitted new bids. “They were retained, but on different levels,” says Blattner. Operationally, carriers had to be told exactly what was expected—and vice versa. Blattner says that “getting to each other from operational standpoint” was the biggest hurdle. That was overcome through the diligence of Edward Don’s DC personnel becoming open to working with new carriers, and their new ways of conducting business and operations. According to Blattner, the savings were significant. Last year, company officials reported that they saved 7 percent on their LTL freight spend, while its savings over five years have been nearly 12 percent on a sustained basis. “I’m really not surprised by the results, but I’m definitely pleased by it,” says Blattner. Besides creating efficiencies on the inbound and manufacturing end, Edward Don’s use of the Freedom Logistics program has offered other cash saving advantages. The company has put other tools furnished with the Freedom Logistics program to work to shorten its order-to-cash cycle as well as monitor both carrier and supplier performance-to-plan. The rating tool helped Edward Don determine the most efficient weight rating of shipments. It can also provide accurate transit times. The web-based rating/routing engine and optimizer identifies the preferred mode and carriers to use for a given shipment—both cost and service comparisons are available. The information can also be extended to other customers within, or external to, Edward Don’s operation. According to Blattner, the company doesn’t use the tools on a day-to-day basis for its everyday freight. Instead, it uses it for vendors when using drop shipments. And since supplier-direct shipment is a common occurrence, the company extended the use of the rating software to its suppliers so they could route direct shipments to customers and employ the company’s preferred carriers and enjoy their preferential rates. Instead of those vendors getting rates from just one carrier, it uses the new freight rating tool to get their own freight estimates. “Our accounting group then uses it to apply freight charges to vendor invoices,” says Blattner. Yet another tool in the program keeps a 16-month rolling history of freight invoices. Edward Don uses it as an analytical tool, pulling all pertinent information to analyze vendors to see if they’re using the most efficient carriers. “This simply allows us to work with vendors to use the most efficient carrier,” adds Blattner. For example, Edward Don can take its rating information and compare it with SAP information. For instance, vendors who don’t fulfill an entire purchase order with one shipment can be highlighted through use of the data analysis. “This particular feature has been extremely beneficial,” says Blattner. Vendors who had been shipping one item in a shipment were also asked to combine into larger volumes. This resulted in hard savings because Edward Don worked with so many different vendors. Blattner adds that having complete access to data was useful in other ways as well. She found that it was a complete analytical tool, not just a freight payment mechanism. Through her carrier partners, Blattner was able to analyze and improve Edward Don’s supply chain network on an ongoing basis, creating new efficiencies in her network—and new savings for the budget. The technology provider also supplies Edwad Don with a shipper-branded web-based inquiry for suppliers to receive routing instructions—as part of this process they’re supplied with the preferred routing minus the carriers’ cost. The company then uses TranzAct’s StarBrite reporting tool to audit performance-to-plan to ensure that their suppliers use the proper carriers. In the event they don’t comply with the routing instructions, the company will charge the suppliers back for the difference between the company’s rate and the actual movement rate. To accelerate its order-to-cash cycle, Edward Don extended use of the rating methodology to its accounting department. Accounting employs the tool on supplier-direct shipments to determine what the pre-paid shipment cost for the invoice should be, and that amount is added to the invoice. If Edward Don waited for the carrier freight bill to arrive before it produced the invoice for the product there would be a substantial delay. Now it has the ability to receive the freight bill, match it to the order, and transcribe the shipment costs before the invoice could be completed and sent. Employing these tools to pre-determine shipping costs allows Edward Don to invoice the customer immediately. According to Blattner, the reporting system has been particularly important to the company during the past several years when staff reductions occurred.